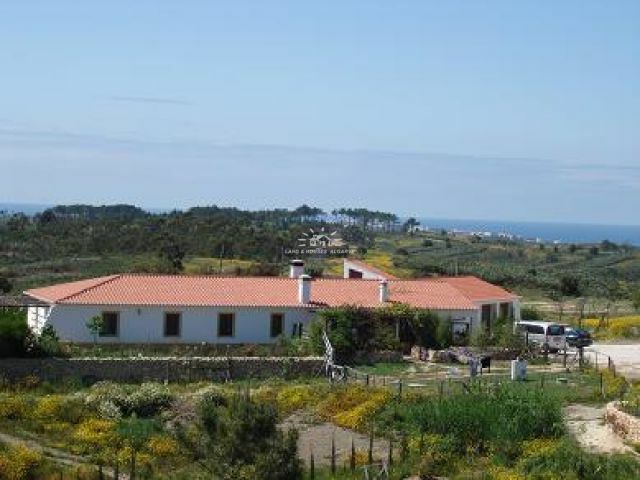 Just minutes from the beautiful beaches near Aljezur and Vale da Telha you find this large country estate. 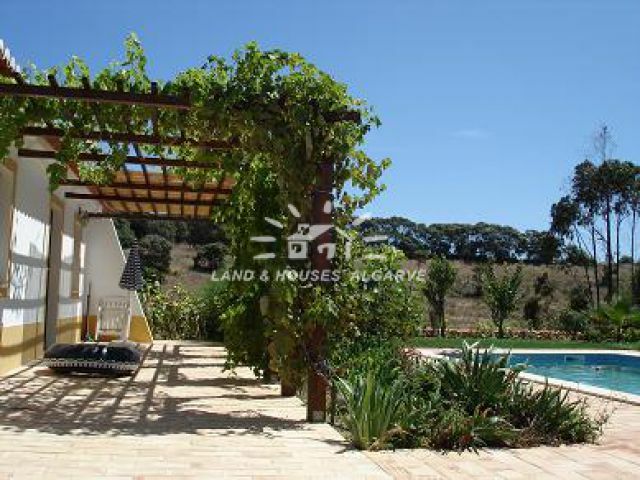 This house sits on 160,000 m2 land with 3 private lakes and has stunning country views and distant sea views. The property comprises of a centrally located entrance hall that leads you through a corridor into the main living lounge with dining area and wood burner stove. 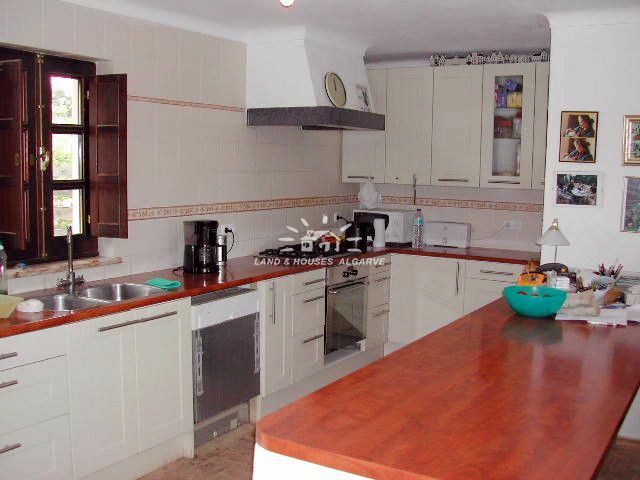 The open-plan fully fitted kitchen is openly connected to the living room. Plenty of storage and cupboard space. Through patio doors from the living room you have access to the semi-covered terraces and the beautifully laid out garden area with fish pond. Along the main corridor on either side you will find the 5 bedrooms with 3 en-suite bathrooms. A guest toilet is located near the living area. Separate utility and storage room underneath the staircase that leads to a small roof terrace where the Sat-dish is installed. Large double garage with extra storage space. In 2004 2 T1 fully fitted and licensed apartments for Turismo Rural have been constructed and are now part of the total construction area. 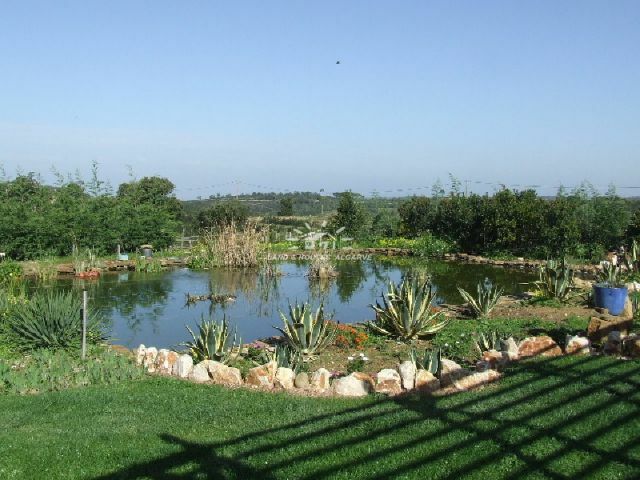 The mature garden has automatic irrigation system with water from the private lakes. Many fruit bearing trees, wine ranks and grass area. Adjacent to the main house are the horse stables (150m2) with space for 3-4 horses that can also use the separate horse riding paddock. On the large plot there are several meadows (4 hectares) for the animals to use. 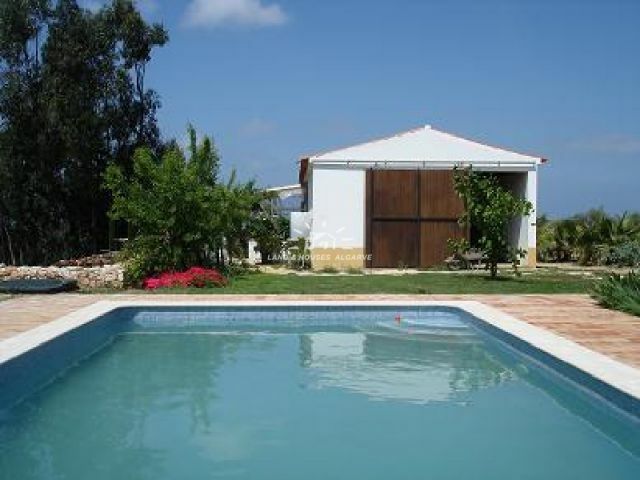 Heated swimming pool (4x8m). Central heating throughout the property. Wooden shutters. Double glazing. SAT-TV and telephone connection with possibility for ADSL. Private water. Main electricity. Large private gas tank in garden. Good access by tarmac road, but last 500 meters are solid track road. 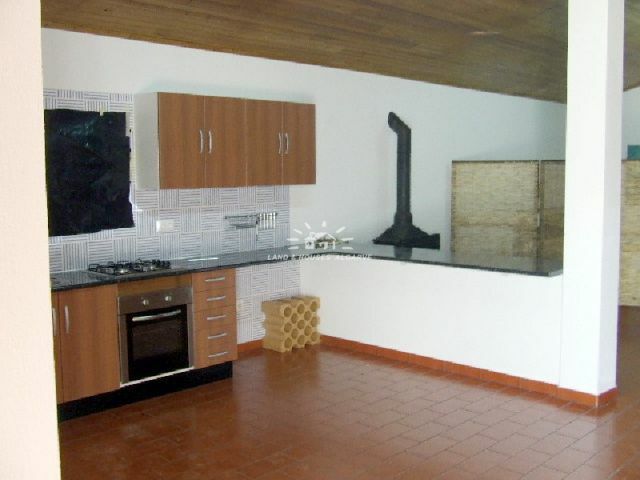 This property is located is a Parque Natural (nature reserve). Energy certificate class A.